A couple weeks ago we talked about what a pain the revision process can be – constant frustration at a time that both you and your client should be excited to release your project into the world. What we didn’t talk about is another part of the design process that should be just as exciting and usually ends up being just as frustrating as revisions: collecting content. I can’t count the number of times I’ve had a client tell me they’re in a rush for a project only for me to be stuck waiting weeks for their content, sending follow-up emails, and wishing I’d never taken the project in the first place. And then, even when content does start rolling in there’s always something missing or it’s in a crazy format that’s nearly impossible to use with random instructions from the client spread all over the place. Even though, during that time, you may just be thinking about how frustrated you are, let’s think about the client for a second. We can’t expect them to know exactly what’s needed and understand all the formats we ask for. Even if you provide checklists of what you need, that can get overwhelming quickly and it’s still easy for them to miss pieces. They’re likely just as frustrated as you! But like the pain of revisions, it doesn’t have to be that way. Today, we’ll go over a few things you can do to make gathering content from your clients far less painful along with an amazing tool I’ve come across that’s made it all easy. The first step of making the content gathering process easy is getting yourself organized. I know I’m guilty of waiting until it’s time to send out a welcome packet to consider what I’ll need for a project. That leads me to rush through making a quick checklist for the client, hoping there was nothing I missed. 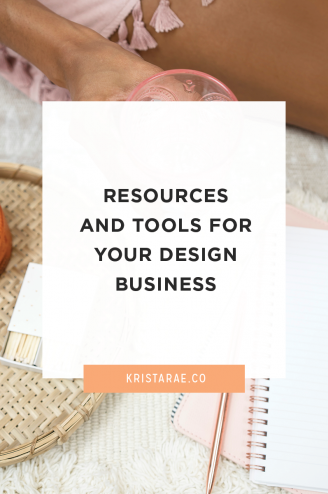 Instead, take time before your next project is booked to list out exactly what you need for each type of project – whether it’s branding, website design, or even creating a simple workbook. Go through past project folders to see what type of content is in there as well as past emails to see what you ended up needing from clients in the middle of a project. The next important step is deciding where in your process you should ask clients for content. For most, this is something that fits right after the project is officially booked to give clients as much time as possible. With this step, also consider the timeline you’re giving your clients. 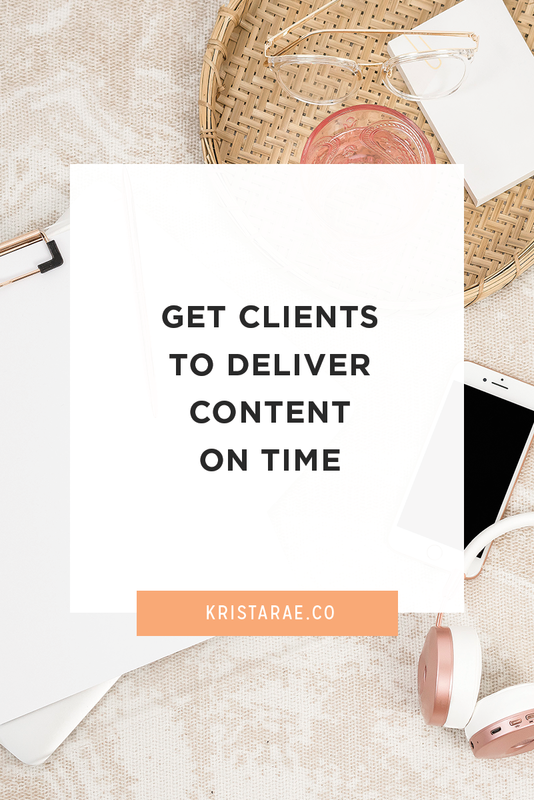 If you tend to be able to start projects soon after they’re booked, what’s the minimum amount of time you want a client to have to gather their content and send it your way? Remember to allow extra time for clients to be late and pieces to be forgotten. I’ve found that 1-2 weeks is a nice amount of buffer time. Next, it’s time to do a little preparation by making templates for the materials you’ll send clients during this phase and writing canned responses to use. For templates, you may want to consider things like folder templates, example content for your client to refer to, checklists, and more. That way, the follow-up process becomes much easier on you and you don’t have to worry about writing emails when you might be a bit frustrated. While these first three steps are important to think about, you can make it even easier on yourself by automating the entire process. 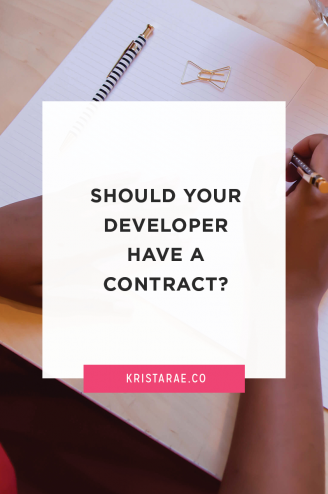 That way, you can set it up once and forget it by determining what you need with each project and creating templates, writing canned emails, determining a follow-up schedule, and letting something else do the work of gathering content for you. The perfect tool for this is Content Snare. The best part is that it was made specifically for web designers to gather content without the hassle. It even has built-in templates so you don’t have to start from scratch when it comes to making a list of what you need, writing canned emails, or creating a follow-up schedule. 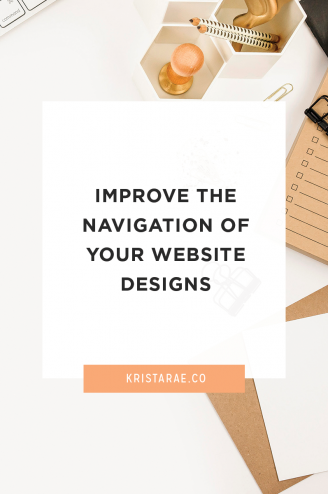 I’ll do a little walkthrough below, but once you have a template set up all you have to do is create a project for your new clients, set which templates to use, and let Content Snare do its work. You don’t have to worry about any follow-up at all. Content Snare will let you know when everything is ready to go! The features of Content Snare have completely blown my mind in the time I’ve spent experimenting and settings things up. I’ve been impressed with how easy they can make something that’s meant for a process that usually ends up being so difficult! To give you an idea of how it works and how it would fit into your process, I’ve recorded a quick video for you to check out! It is so. quick. I literally had my account set up and ready to go in a matter of minutes. After that, the templates they already have in the system made it easy to get things customized to fit my needs. 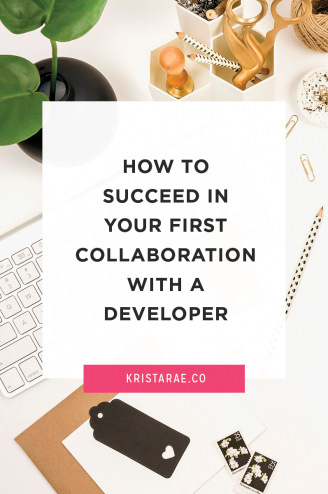 The most time-consuming part was figuring out what I actually needed from clients and from there I was able to get everything ready in no time. Helpful tutorial videos. Something else I liked was that there were great getting started tutorials delivered to my inbox every couple days that introduced me to features I might have missed otherwise. Unbranded client video. In the past, I’ve always had to record my own videos to send clients for how to use different pieces of software – Asana for example. But Content Snare has an unbranded walkthrough video that you can send your clients. One less task for you to worry about! For me, this tool is well worth the small cost to reduce the stress that comes with fighting clients for content in every. single. project. I’m always on the lookout for ways to fix pieces of my process that aren’t working well so I’m so glad to have found this. I’m sure you’ll discover the exact same thing! If you’ve been struggling to make your content gathering process easy, definitely give this tool a try. It has a 14-day free trial so you can make your own account and look around before committing to your first month.